A three-week trip around Japan inspired London-based artist Alice Tye to create Mono No Aware, a series of paintings depicting the country in during cherry blossom season. We caught up with her to discover just what made Japan so magical. How long were you in Japan, and where did you go? We visited Japan for three weeks and managed to have a fairly packed itinerary! We started with a few days in Tokyo, then travelled to the Kiso Valley to hike between Magome and Tsumago. 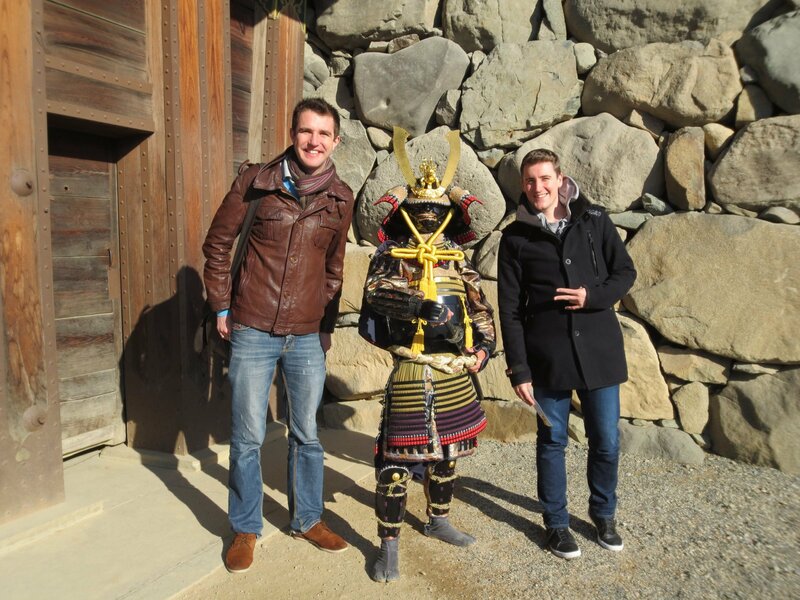 After staying in a ryokan (traditional Japanese inn) in Magome we took the train to Mount Koya to visit some of the incredible Buddhist temples, and stayed in a temple where we were able to experience the monks’ morning ceremony and eat some fantastic kaiseki meals. From Mount Koya we travelled to Osaka to spend a week exploring the city and seeing the first of the cherry blossom appearing. After Osaka we stayed in Kyoto for a few days and took a day trip to [“art island”] Naoshima to visit the galleries. I am always inspired by architecture so seeing the galleries designed by Tadao Ando was a highlight, as was seeing the iconic artworks housed in the galleries. The last stop on our trip was a week in Tokyo. The city is so crazy with so much going on I feel we barely scratched the surface of everything we could have done, but we did manage to enjoy the blossom, visit some galleries, find some brilliant vintage clothing and record stores and even take an ikebana (flower arranging) lesson! Your series of paintings is called Mono No Aware, a Japanese phrase that refers to an understanding of the transience of things. It’s a term often used to refer to the sakura, or cherry blossom, season. 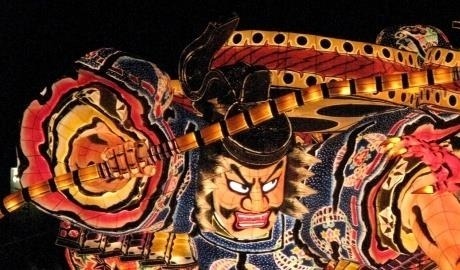 Did you go to Japan with the idea that it might become a muse? We learnt the phrase Mono No Aware whilst we were there in relation to the blossom and I chose it as the title for the series as it seemed to fit the experience we had of Japan so perfectly – appreciating things more because of their transiency. I went knowing I wanted to make work as a response to the trip once we were back in London, but I didn’t arrive in Japan with any preconceived concepts of what the work would focus on. I don’t like to sketch or paint when I’m travelling as I think it’s healthy for me to take a break from making and instead focus on being present and really experiencing the places I visit. Instead I like to take as many photographs and videos as I can whilst I’m away so that when I get back after the trip I can sort through them and find the images that resonate most with how I feel about a place and what I’d like to communicate in the paintings. Was it the first time you’d travelled to Japan? Was it everything you expected? It was my first time in Japan! And actually, it was my first time visiting Asia, so the culture shock was real, but I loved it. It was such a strange feeling to not be able to read any of the signs or menus or understand things being said over loudspeaker. I’ve travelled to a lot of European countries where I don’t speak the language, but normally you can attempt to pronounce something and can get a sense for what’s being communicated, whereas in Japan we had to learn to communicate in a very different way. Everyone we met was so helpful though, even if they didn’t speak English. The food was as good as I’d expected, and I tried a lot of things I had never even heard of! The cities were really different from what I’d imagined, not just glassy skyscrapers but also older buildings and neighbourhoods that felt very local and friendly, not like they are in the middle of a metropolis. What (if anything) surprised you? I was surprised by so much. The fact that you can get hot coffee in a can from a vending machine at a station in a tiny mountain village; the little jingles that each station has never failed to make me smile; and the toilets playing birdsong really took me by surprise! The sakura craze that takes over the country definitely made an impression; the patchwork of blue tarpaulins underneath the blossom in Shinjuku Gyoen was a bizarre sight to see – it seemed so at odds with the beauty of the cherry blossom, and the impeccably clean streets. It was also impossible not to notice how friendly everyone we met was and how helpful they were. Japan is famous for cherry blossom, but while you travelled during hanami season, you depict completely contrasting landscapes, with rural outposts, onsen towns and urban cityscapes as well as cherry blossom trees. Did you find a favourite place, or landscapes that you felt more drawn to? I think it would be impossible to choose a favourite place, there are too many to choose from! But if I had to narrow it down I would say Naoshima was really special, from the architecture to the fact that it felt like a tropical desert island. I kept thinking it looked like the setting for a James Bond film! I loved Osaka. I found there wasn’t much online about Osaka compared to Kyoto or Tokyo when we were researching it, but we found so many amazing coffee shops and restaurants, and I really liked the aesthetic of the city. Everyone seemed to cycle everywhere, like it was Copenhagen. In my work I am often drawn to unusual subjects like parking lots – no matter where I travel I always come home with photos of parking lots and I think the painting of the parking lot in Kyoto is one of my favourites, I loved the contrast of the Buddha with the tourists and the concrete. I also wanted to focus on communicating the business of the streets in Japan – with the telephone wires and all the signs and adverts everywhere – this isn’t something I’d ever painted before. In fact I tend to paint scenes without people in them so images like Osaka Crossing were unique to this Japan series. Are you planning a return trip? I would love to go back, there was so much we didn’t have time to see or do and so many places I want to visit again. I don’t currently have a specific trip planned but the country has such a varied landscape I’d love to visit places like Okinawa when I return. Any tips for first-time Japan travellers? Be open minded with trying new foods! Book a JR pass if you are planning to travel between cities, it’s definitely the most economical way and the trains are fantastic. And if you are going to be near Osaka or Kyoto, take a day or two to visit Naoshima, it’s worth the journey! Explore Japan’s art scene, including Alice’s favourite Naoshima (art island) on our Japan Arts Trail Self-Guided Adventure. 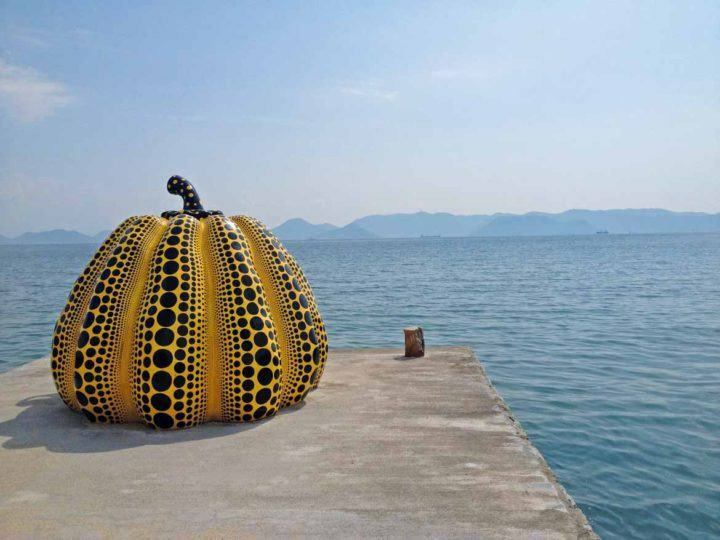 If you’re travelling in 2019, don’t miss the triennial Setouchi Art Festival. Alternatively, take a look at our Small Group Tours departure calendar to travel with the experts and see Japan in sakura season.